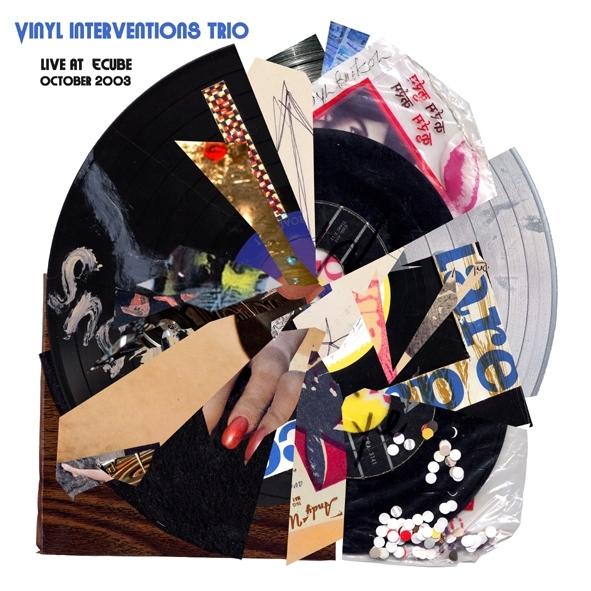 This is a live set from the Vinyl Interventions Trio: Esther Bourdages, Marinko Jareb, and Carrie Gates. Live at Ecube, Montréal, this album documents the six-turntable cut-up that flipped it squiggly-style for a very live crowd. 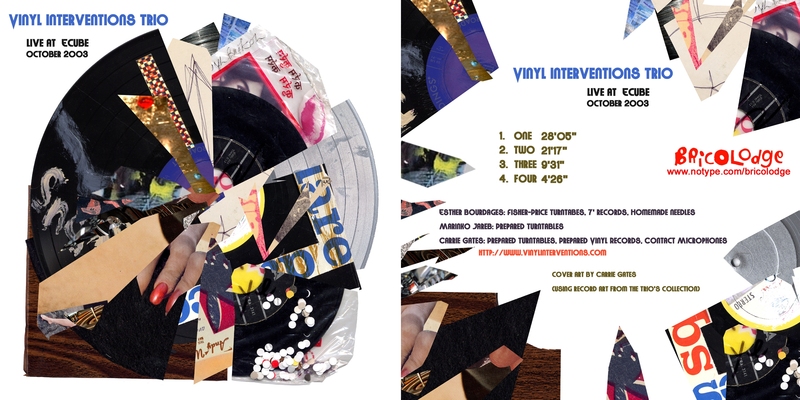 Using homemade microphones, sliced + diced records, kiddy turntables, oddity vinyl classics all switched up, this was also a very visual and performative event.